Calm The Nerves Or Kiss Goodbye? The information presented on this page was originally released on January 20, 1997. It may not be outdated, but please search our site for more current information. If you plan to quote or reference this information in a publication, please check with the Extension specialist or author before proceeding. MISSISSIPPI STATE -- Sweaty palms and cold feet sometimes indicate a reassuring hug is needed, but for other couples, it means it's time to kiss the fiance' goodbye. 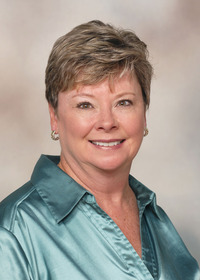 Dr. Louise Davis, Mississippi State University extension child and family development specialist, said few couples survive the entire wedding process without at least one member getting a case of the nerves. While not unusual, couples must determine if this is simply jitters or a hint that something is wrong. "It's healthy to question the reasons why you are marrying someone," Davis said. "Ask yourself why you feel this way." But nobody likes the sinking feeling deep inside that questions whether they are doing the right thing. Davis said when this happens, that person should evaluate the relationship. If questions persist, the partner should be involved in the evaluation. Good communication is essential. "Make a list of pros and cons," she said. "Get focused, define the problem and see if anything can be done to solve it." Couples should individually list their goals, values and beliefs and compare these with their partner's to note similarities and differences, Davis said. "Weigh the positives and negatives and start prioritizing," Davis said. "If the negatives are more than you can work out alone, get counseling." Davis recommended counseling for all couples, even "perfect" couples. Many ministers, and some states, require premarital counseling so couples learn more about each other and identify potential problem areas. Once a relationship has been reduced to a prioritized list of pros and cons, it's time to make a decision. It's OK if the answer the couple finds is to break the engagement. Others choose to postpone the wedding until problems can be worked out. Anna Minor, a former MSU student, was on her way to make down- payments for her wedding reception, florist and rehearsal dinner when she realized she was doing the wrong thing. She already owned her wedding dress and her bridesmaids' dresses were made when she broke her engagement. "I had doubts before, but I told myself that all brides doubt it -- it's just the jitters," Minor said. "But I realized this was something more than jitters. "A public bond was holding us together, but nothing else." Minor called off the wedding three and a half months before it was to occur. The ease of canceling the plans confirmed to her that she did the right thing. "In all, it cost my parents about $1,000, but they said it was worth it for me to be happy," Minor said. The hardest thing for Minor was telling her mother the news. But her mother, as well as friends and the rest of her family, totally supported her decision. She was afraid people would talk, but confronted it directly by telling everyone what happened. "Everybody respects that," Minor said. "Everybody has a story of someone who should have called it off, but didn't have the courage." Minor advised anyone with cold feet to ask themselves if they simply want to get married or specifically marry the person they are engaged to. Ask if they can see themselves with their fiance' several years from now, and do they want that person to be the parent of their children. Cancelling or postponing a wedding is simpler if invitations have not been sent, Davis said. But if guests have been invited, the couple is responsible for notifying everyone involved. Davis suggested mailing notes announcing the change. If time does not permit this, the couple should call each person who was invited. Any gifts should be returned. And if the couple decides later to marry, another note is in order announcing the new date and times. "It's easy to get so wrapped up in the festivities of the wedding that you forget there's a marriage the day after," Minor said. "It lasts a lifetime, and forever is a long time to be miserable for a few hours of fun."